Need help with how to post on DZone? Check out these guidelines and send in an article for consideration! So, you need help with submitting a post to DZone? Well, you've come to the right place. Below, you'll find a video tutorial as well as a step-by-step written tutorial on how to submit a post. Let's get started. Below, I'll provide you with a tutorial outlining the steps involved in submitting a post to DZone. 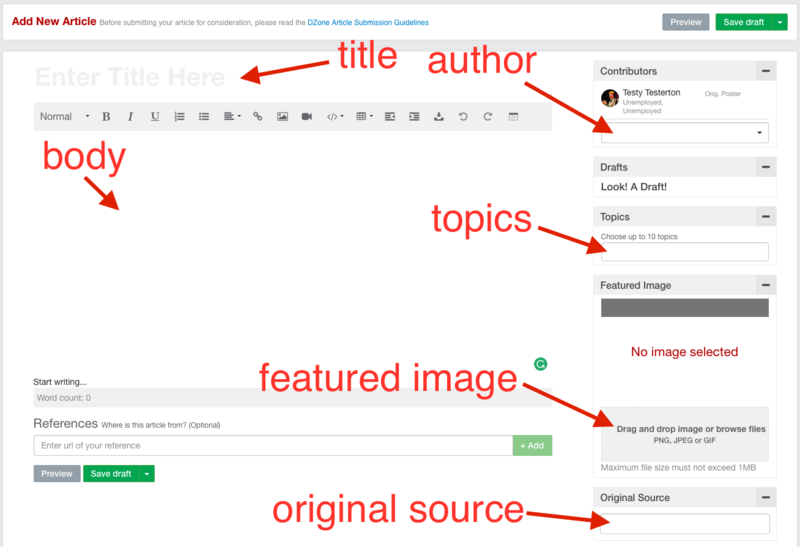 Remember, submitting a post to DZone does not ensure that it will be published, only that it will be moderated. Submitted posts must be assessed to make sure that they are indeed a good fit for our community. If you read our Article Submission Guidelines and follow them closely, your submission is likely to be accepted. Sign in (or sign up) to DZone.com. Next, click on the plus sign (+) beside your profile picture and select "Post an Article." Just click on the title of the one that you want to access and you can continue working on it. 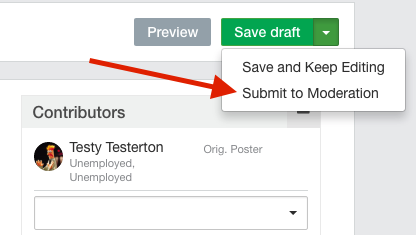 Once your article is ready, go to the green arrow connected to "Save draft," use the drop-down menu, and then click "Submit to Moderation." After the article is in moderation, our editors can review it, decide if it’s a good fit (message you if it needs work), and schedule it for publication. Upon being published, you should be sent an automated email notification. Congratulations! You're officially done. You can relax and wait for the post to go live. If we come across any problems with your submission, we will contact you. Otherwise, we will schedule it to be published, and you'll be notified once it goes live. 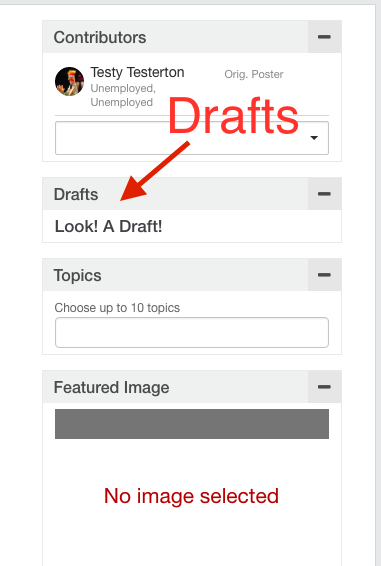 NOTE: If you decide you would like to edit your post after it's already been posted, you can do so by clicking on the gear that sits beside the number of pageviews underneath your article title. However, doing so will send your post back into moderation for our Editorial team to assess the changes you've made. During this window, anyone who tries to access your post will receive a 503 error message and won't be able to reach your post. So long as we approve of your edits, we'll republish the article on DZone as soon as possible. If we find the changes have no merit, we will reject and remove the article. Edit wisely and keep our Article Submission Guidelines in mind! If you run into any problems or come across something that's not covered in this tutorial, please let us know. Also, be sure to read our DZone Contributor FAQs article for help! Thanks very much for your interest in posting on DZone.